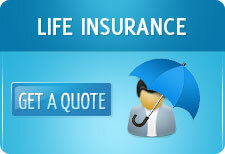 Online Insurance Quotes in India: Is LIC India’s most valuable company? When privatization of the Insurance sector started in 2000, many experts were predicting the gradual weakening and ultimate demise of Life Insurance Corporation of India (LIC0). The state owned life insurance monopoly was perceived to be slow, inefficient and behind the curve. But the situation has turned out drastically different. In the face of intense competition, LIC has held on to its own and still commands an awesome 70% of the market share . Even more interesting is the fact that in recent months and years, this percentage has gradually creeped up. While the private life insurance companies have tended to pay higher commission margins to their distributors so that they can generate more sales, LIC has been conservative in their commission payouts and generated sustainable, profitable business. So what then is LIC’s worth. With 2 crore policy holders, assts of Rs 11 lakh crores and 71 % market share in a growth market, LIC’s embedded value has been estimated to be at Rs 2.5 lakh crores, give or take a few thousand crores. Embedded value is essentially the present value of profits from the future, and adjusted net asset value. The recent capping on ULIP charges that IRDA has mandated will help LIC in sales as they have a huge bouquet of traditional products. On top of that, a buoyant stock market and an economy growing at 9% can only lead to an increase in valuations. Though it is difficult to establish a clear ratio between market capitalization and embedded value, India’s most valuable company by market capitalization is Reliance Industries at Rs 3 lakh crores. LIC, with an embedded value of Rs 2.5 lakh crores is not too far from that. Add in the fact that there will be a premium attached with being the leader in a growth industry, LIC can easily command a market capitalization higher than Rs 3 lakhs, were it ever to list in the stock market. And thus become India’s most valuable life insurance company!! Compared with the valuations that Insurance companies have in China, this will not be surprising at all. China Life commands a market cap of 111 billion USD. LIC could very well have a market value of in excess of 65 billion USD, ie approximately Rs 3 lakh crores.